Open: May 1 to end of October depending on weather conditions. 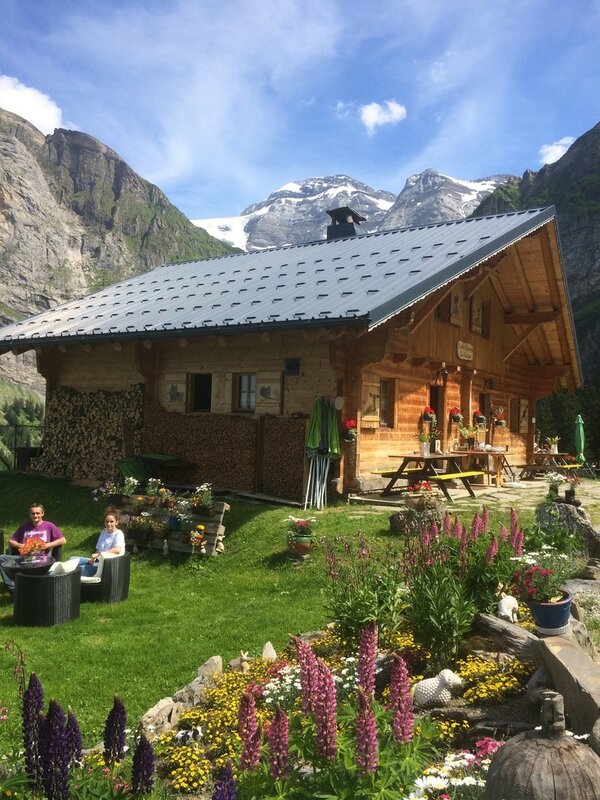 The hut is located in the commune of Champery, deep in the Val d'Illiez. It is set in mountain pastures facing the Ruan glacier, in an environment without cars or electricity. It is between the Dents-du-Midi circuit (Switzerland) and the Dents Blanches circuit (Switzerland-France). Cooking is done over a wood fire, using Val d'Illiez local produce. Closest Carpark: Great Paradise, 60 minutes away on foot. Closest public transport: AOMC station in Champéry, 90 minutes away on foot. 18 dormitory places, duvets, your own sleeping bag liner is required. Half-board, breakfast, lunch, evening meal, picnics. Hot water/tea in a thermos. Indoor slippers, electricity provided by solar panels (220W), animals only accepted on specific conditions.